Guys we don't often beg for donations and we hate doing it and it makes us feel really bad :( but we have actually run out of funds. This past year has been manic to say the least with 366 animals helped by the rescue, many seriously ill with huge vets bills. We still have 17 dogs and 44 cats in the rescue who are either ready for adoption.... will soon be ready or are in long term foster who will never be up for adoption due to heath issues. Our December bill was £ 13,149.58, we couldn't pay it in one lot and Lin has pulled in all funds from everywhere to pay the last £1,200 we officially are now broke we have no funds for January and still have animals under the vets. Many of the animals that come in are emergencies and it will break our hearts to say we can't take them. Team TAH have worked their socks off with the fund raisers, the store collections and the shop and you have helped massively with donations and sponsored events and we thank you from the bottom of our hearts. We desperately want to do the same in 2019 so if anyone can spare even £1 to kick us of into the new year it would be greatly appreciated. Also if anyone would like to do any fundraising or sponsored events in the next few months please PM us. Thank you for all you support over the past years and a Happy New Year to you all. 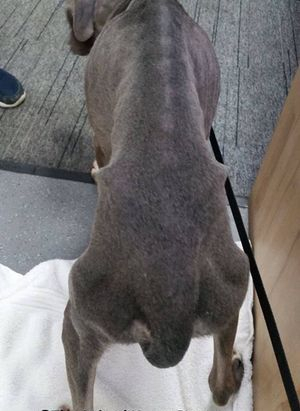 On the 19th of December an emaciated dog, a Staffie was found by a member of the public and was taken to the PDSA, they then phoned the dog warden who seeing the state she was in made a call to our very own Jennie Dhanjal (K9 Search UK) and she of course called Lin and said "HELP!" WE will tell their story for them! 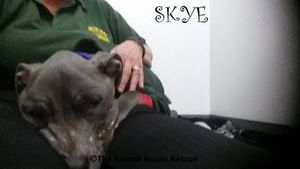 Skyes vet bill to date is £1461.11, for those that messaged us asking how our vet bills are so high, this is one of the reasons. Well guys it looks like we are going to have to pull out all the stops to even begin helping the inevitable large amount of animals that we will be asked to take (it's already started) in 2017. 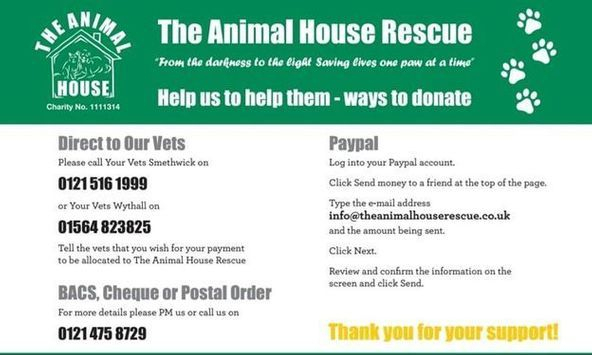 Despite the whole TAH team running themselves ragged to raise funds, and all our friends and followers that donated to the desperate cases we helped in 2016, we still need to find £6,297.47 to clear our vet bills for last year. Even though we have just paid £10,000 to our wonderful vets it still leaves us short of clearing them which we have always done before. Please, we need your help again to enable us to carry on doing what we do. Do you think you can help in any of the following ways? Have a coffee morning to raise money. Do a sponsored event (we can provide official forms). Organise a mass dog walk and ask people to pay £2 to join you. Do a car boot sale or anything else you can think of to make money to help us out. Thank God we took her in, even when we have no room our foster mum still squeezed her in, if she had stayed with the woman she and her babies wouldn't have survived as the remaining placentas and kittens would have rotted inside causing massive infection killing mum too. 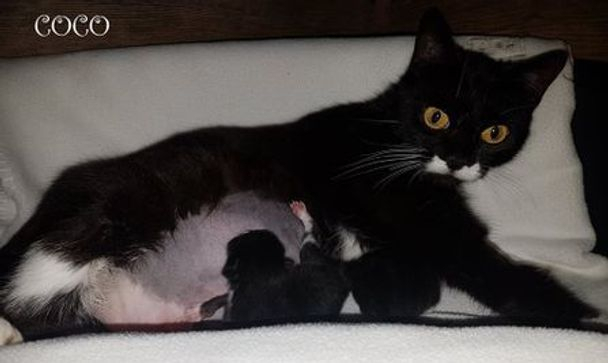 This is mum (Coco) and the surviving kittens, shes a stunner. A big thank you to our foster mum Lou for being there for Coco and her babies and making sure she got the treatment she needed. Two crazy members of team TAH are going to be doing a zip wire run in May to raise much needed funds for us. 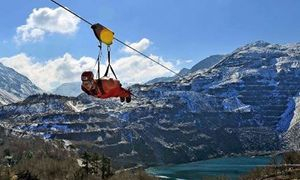 Vicky Hodges and Carys Reeves will be zooming across the wire at speeds of up to 100mph :O ...Please support them via their gofundme pages. 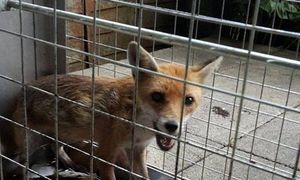 Well Foxy lady caught and checked over, wounds are healing well so she had a good spray with RenaSan and she was Advocated. To say she was ungrateful was an understatement but she is strong and apart from the wounds is healthy. 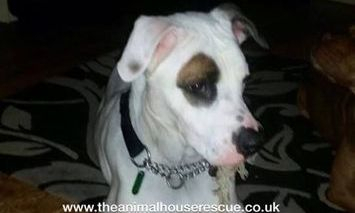 This is Jonesy (as we have called him), he came into the rescue via K9 Search UK. When he was found he had a collar around his waist and was in a state with matted fur and a badly broken leg at the hock. 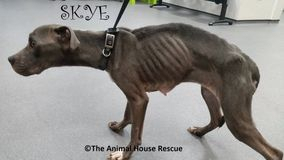 When the vet examined him and removed the collar Jonesy's tummy was very swollen but it was thought it could possibly be a gas build up from the collar constricting him. 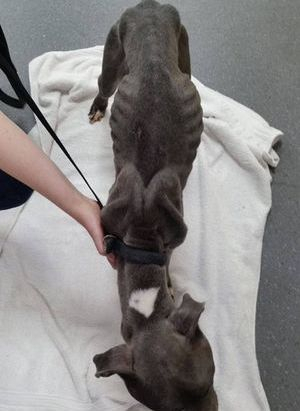 When he had x-rays on his leg it also showed part of his stomach and there was a lump inside his tummy. It was decided to operate on this first to see if it was a tumour and, if it was bad, then he would be put to sleep under the anesthetic. With fingers crossed here the vets operated and found not a tumour but a huge stone in his stomach which was removed and then his leg was removed as well. All in all this little man spent 3 1/2 hours on the operating table and will be in recovery for a while yet. While technically a stray neither of the surgeries could be delayed as not only was he in great pain, they were potentially life threatening. 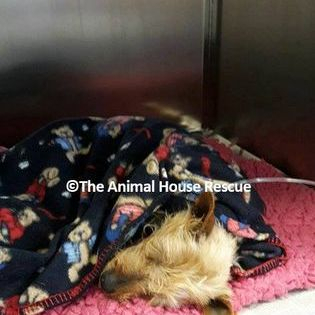 This little guy is extremely lucky as he was found lying in woodland in a state and underweight. Can we please have healing thoughts and prayers as he is still extremely poorly. 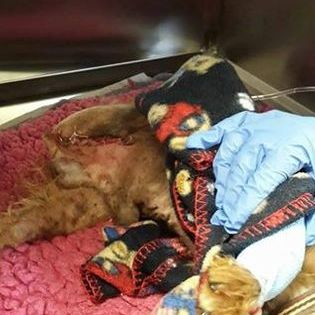 UPDATE 3rd June 2016 - We have just spoken to the vets and Jonesy has made it through the night. He is still at risk more from his surgery to unblock his stomach than the leg amputation but he has managed to eat a little bit on his own. Keep fighting little boy we are all thinking and praying for you. 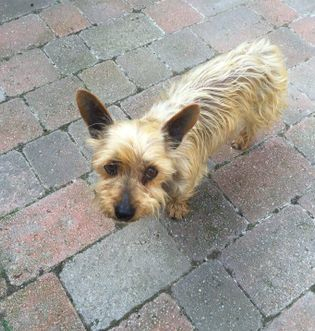 UPDATE 4th June 2016 - Well although feeling very sorry for himself Jonesy is back in the land of the living. Sitting up and taking notice he's even managed to get up for a toilet break which is amazing. Please keep this little man in your thoughts and prayers that he continues to do well its early days yet. UPDATE 5th June 2016 - LOOK!! out tough little cookie is on his feet, way to go Jonesy you little fighter. Now be careful and don't over do it. 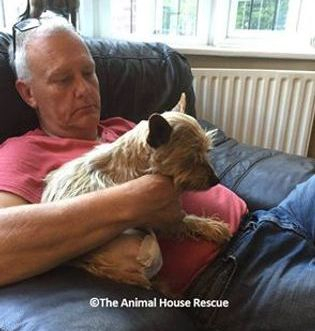 Jonesy went into his new foster home.